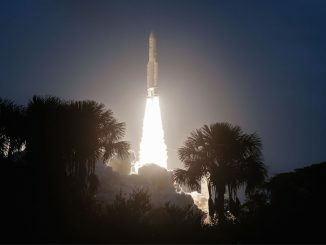 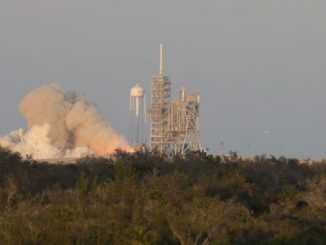 Launching with two communications satellites to broadcast television to Brazilian homes and connect the islands of Indonesia, an Ariane 5 rocket blasted off from a space base at the northern edge of the Amazon jungle Tuesday, the first of seven planned flights by the European-built booster this year. 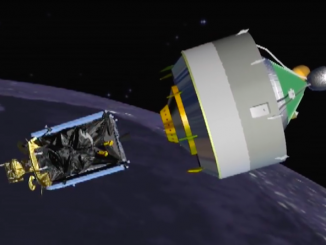 A pair of commercial broadcast satellites on the way to parking spots high above Brazil and Indonesia are safely in orbit after blasting off Tuesday atop an Ariane 5 rocket. 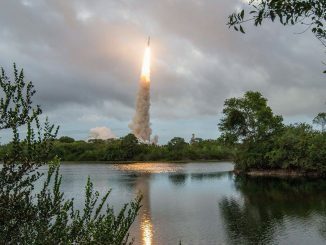 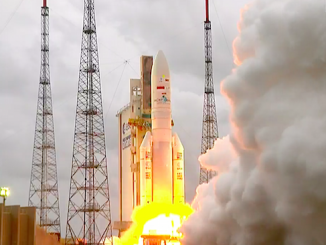 An Ariane 5 rocket climbed into space from French Guiana on Tuesday evening, hauling the Sky Brasil 1 and Telkom 3S communications satellites to orbit on the way to operating posts over Brazil and Indonesia. 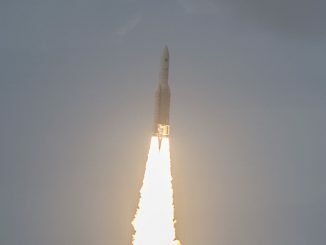 A powerful Ariane 5 rocket rolled out of its vertical assembly hangar to a tropical launch pad on the shores of South America on Monday, and these photos show the booster on the eve of liftoff. 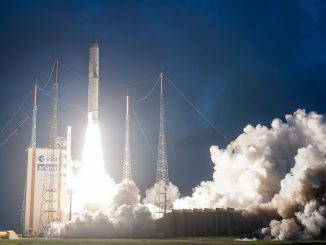 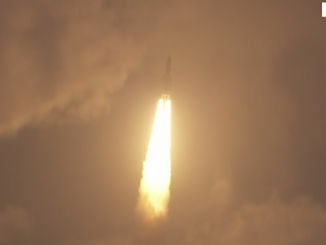 Arianespace’s launch team loaded an Ariane 5 rocket full of super-cold liquid hydrogen and liquid oxygen propellants Tuesday for a fiery sunset blastoff from French Guiana at 2139 GMT (4:39 p.m. EST) with two European-built television broadcast satellites for Brazil and Indonesia. 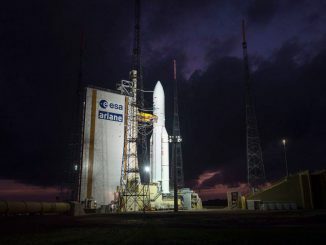 A commercial satellite to broadcast television programming to millions of homes in Brazil and a multipurpose communications craft to beam high-definition video and Internet signals across Indonesia are awaiting a half-hour ride into orbit on an Ariane 5 rocket Tuesday. 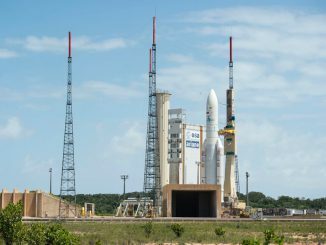 Two commercial communications satellites heading for orbits more than 22,000 miles above Earth are scheduled for launch from a jungle launch facility in French Guiana at sunset Tuesday on top of an Ariane 5 rocket.